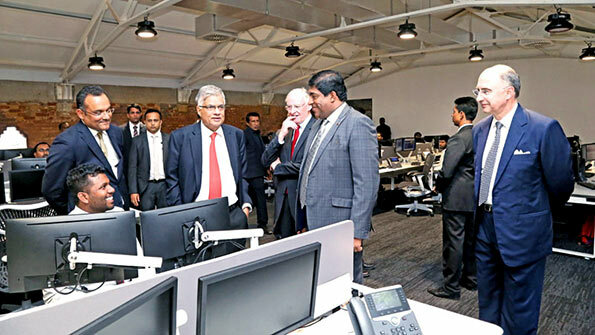 the spin off from crooked ravi deals dealing with crooked tr bond deals, demonetizing bank notes will keep ranil and his extended family provided for a lifetimee. Regardless of the securities commission the stock market is riddled with so many holes that none with any sense will not take second look at it. Thousands of stake holders have been left destitute and no poturing on the part of ranil could ever resuscitate their enthusiasm. Having read the stupid comments in the foregoing Blog (by Zama), wish to state that section of the process in manufacturing a car, which requires intensive human input, is the assembling of the car. What VW is doing is to outsource the assembly to SL where wages for human input are less than 10% of wages payable in Germany. It is stupid for this country to go into manufacturing. Our economic mainstay is Agriculture and that is where most opportunities are. Also, as the middle class grows ( the ‘Colomba Kakke’), the demand for skills (electricians, plumbers, whitegood technicians) will grow. In developed economies, the tradesmen earn more than scientists and engineers because of the demand for skills from the middle class to maintain middle class status. Sri Lanka should take a leaf from that.